If I have to name the most essential ingredient in my freezer, it would be frozen green peas. It also provides veggies for kids! In my family, we eat so many green peas that when we run out of this freezer staple, I’d know it’s time to go grocery shopping. Veggies for Kids: Why Peas? Peas are high in protein. 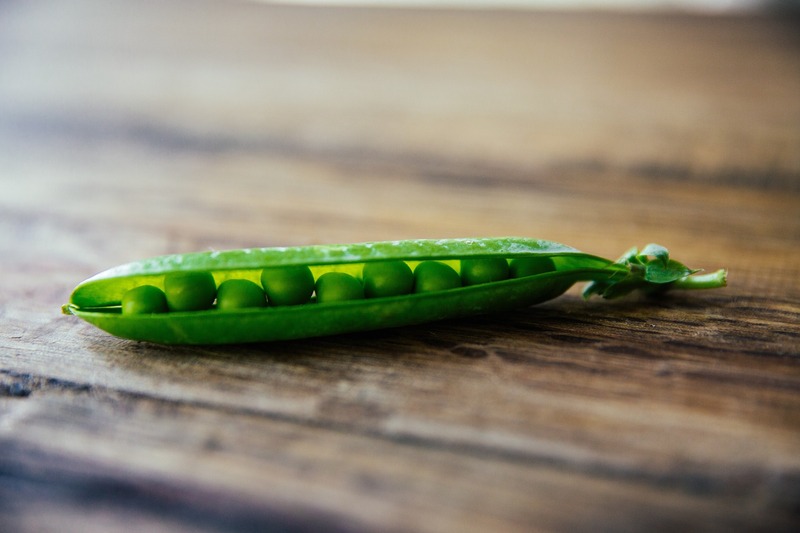 One cup of green peas has almost 8g of protein! Great for growing bodies! Peas are loaded with vitamins and fiber. 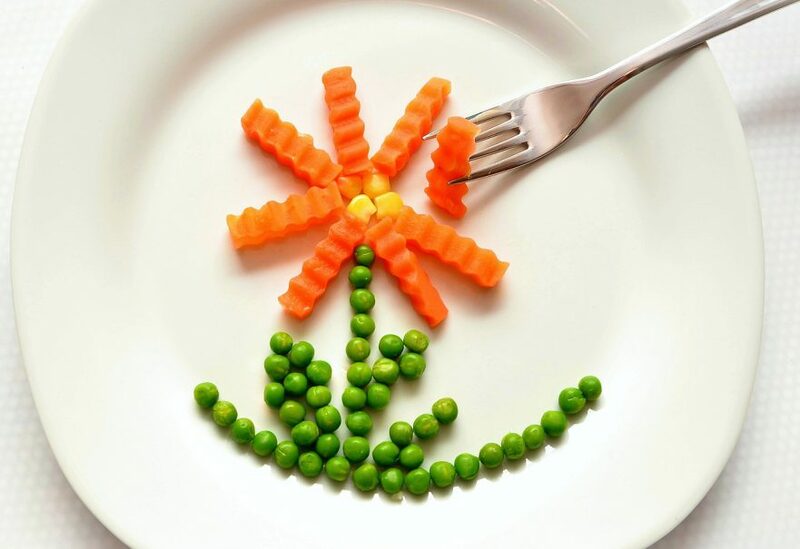 Peas are high in Vitamins B, C, K, and even contain small amounts of omega-3 fats in the form of alpha-linolenic acid (ALA). One cup of peas contains 8.3g of fiber or 33% of the recommended fiber intake. Everyone loves the taste of peas. Who doesn’t love the taste of sweet and starchy peas? Even babies love it mashed or pureed. Peas also make a great finger food for toddlers. Peas are easy to prepare. Peas cook up fast in the microwave oven. Just cover and steam in the microwave oven. Peas are inexpensive and available year round. A bag of peas cost a little over a dollar at the supermarket year round. If that’s not a screaming deal, I don’t know what is. Peas stay fresh for a long time. 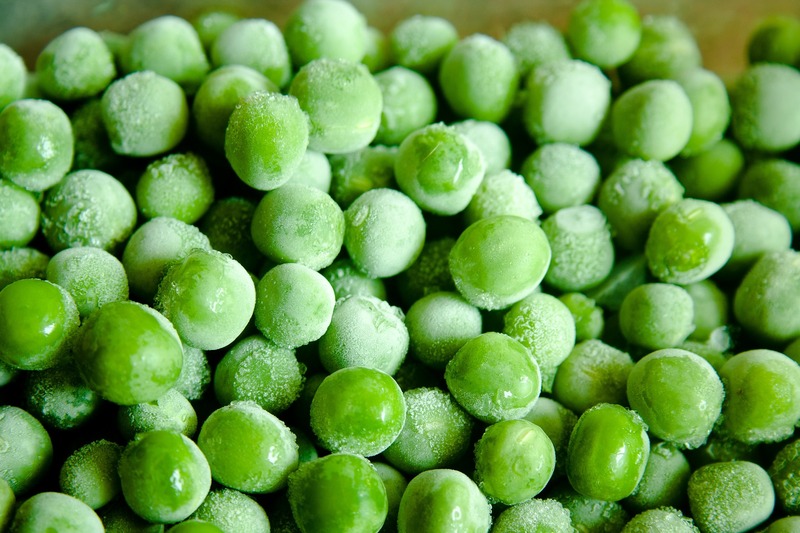 Peas freeze extremely well and stay good for up to a year; you’ll be hard pressed to find a more economical vegetable. I have literally never thrown away a single pea because it’d gone bad. Peas make a great addition to any dish. Peas can be added to virtually any dish. Try it in salads, curries, omelets, pasta, soups and more! I love adding green peas to cooked rice to make it more nutritious and colorful! Keep these little green treasures in your freezer and you’ll always have something healthy to eat. To me, peas taste the best when it’s been gently steamed in the microwave oven with a pinch of salt. When cooked just right, green peas are plump and never shriveled, and have a sweet and bright flavor. Place peas and a pinch of salt in a microwave safe dish and cover. Microwave for 2 minutes and let stand 1 minute. If peas are still frozen, cover and cook for another minute then let stand for 1 minute. Eat or toss with your favorite condiment or dressing. My toddler loves pea salad, especially this sweet and crunchy pea salad. Mix peas with mayonnaise gently.